It's a pleasure to introduce my new iPhone app here at iMore. It's called Ultimate Calendar - Complete Calendar Solution. It is now at version 1.05.4, a worthy companion to Super Calendar. 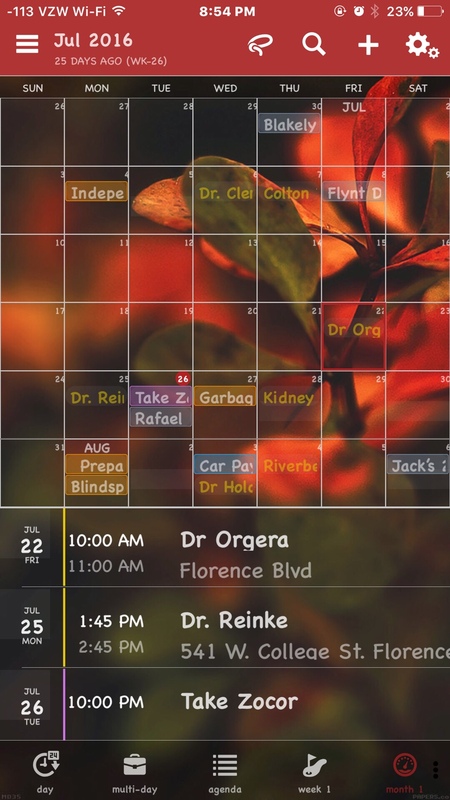 Ultimate Calendar, uCal for short, is first beautiful yet simple. Then you can choose to make it powerful, or keep it simple. - Themes, with a wizard view to easily change app color, background and font! - Change color of individual events! ladyc0524 and gpobernardo like this. superb-apps and ladyc0524 like this. I am really enjoying it. Great looking app. Check it out. It got some unique views, and familiar ones as well. Thanks for sharing Ultimate Calendar with us! Best of luck with this and all of your future app development endeavors! I'm liking it! It's nice! Mostly free today. I like this. Is there a free version to try out? I don't mind paying $5 if I like it but would like to try first. Is it not free? I thought it was free, with in app purchase for more features. I had beta tested it. You might try his other one, Super Calendar. It's similar. Don't know if it's free or not. Just realized the op was 7/25/2016. LOL. They do pretty much what other 3rd party Calendars do. But customizing with your own images is nice. I don't know of any others that have that. 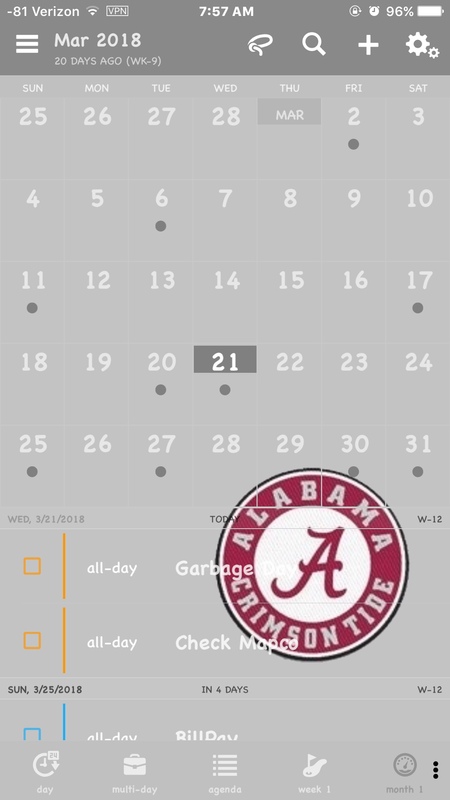 I think Super Calendar allows 24 images you can switch back and forth. Ucal 20 I think. You can pick theme colors to match each image. Choose white or black text for each. I paid the $4.99 to unlock the features on Ucal. If it's $4.99 Plus $9.99 to unlock all features and no ads, not sure it's worth $14.98 for all of Ucal. This is confusing. Could be you get ad free with power features for $4.99. That's what I have. Not sure what else there is. Last edited by Ledsteplin; 03-21-2018 at 08:36 PM.